I don’t know what is going on with me lately, I just want to eat flan, sweet, savory anything that looks like a flan or tastes like a flan…and I am not even pregnant. I think it has to do with its consistency…anyway my life functions with waves as well as are my culinary tendencies. Flans don’t necessarily have to be sweet, they can be made with so many vegetables, such as asparagus, carrots, broccoli, leeks, etc… you just need the egg/milk and/or cream mixture. You could also substitute cream with silken tofu blended into a creamy texture. For those who do not want to use cream, you can find a substitute cream made out of soy, it’s called Mimicreme, and is available now in California at the Rainbow. I was waiting for it to arrive in california, and here it is, la voilà qui est arrivée! In France we have many types of non dairy creams that are delicious, without the weird soy unpleasant taste at all, and the texture is as smooth as dairy cream. These flans are a wonderful way to eat vegetables and for those who are just beginning to add more veggies into their diet and who don’t know how to prepare them. Cauliflower has very little calories and is rich in fibers, magnesium, calcium and potassium. It’s one of the “kings” among light vegetables, so I would not worry about eating too much cauliflower. Vive le chou fleur!! Steam the cauliflower cut in florets. You can also cut it in small pieces and boil it in water for about 20 minutes, or until cooked. Drain and mash with a potato masher. In a mixing bowl, mix eggs, milk, cream, thyme, salt and pepper. When everything is well mixed, add crumbled gorgonzola. Butter individual flan or souffle cups, and pour evenly the mixture. Cook in a pre-heated oven for about 30 minutes or until flan is cooked. You can use a knife to slide in the flan and if it comes out dry, that means the flan is cooked. Sprinkle with fresh thyme. You can serve flan in their individual molds or unmold them in a dish. You can serve this with a salad or as a side dish with some white broiled fish. This entry was posted by silvia on May 27, 2009 at 7:37 pm, and is filed under Appetizers, Side Dish, Vegetables, Vegetarian - dairy. Follow any responses to this post through RSS 2.0.You can leave a response or trackback from your own site. Wow, this looks wonderful. Thanks for the idea. What a fabulous flan! I can’t even imagine just how good this is! I love gorgonzola. oh these sound amazingly good and adorable too! 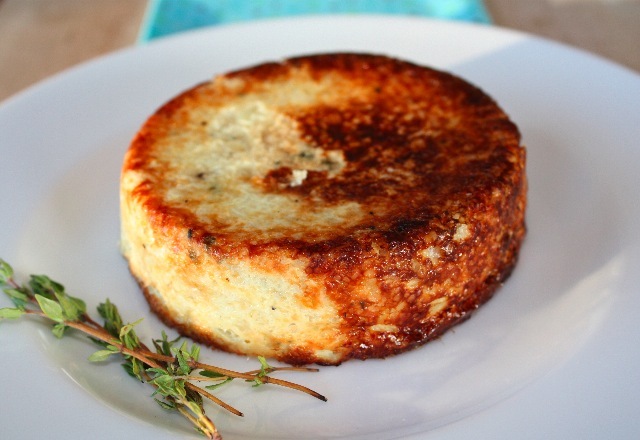 Love it, a Sformato of cauliflower with Gorgonzola and thyme, perfect pairing! 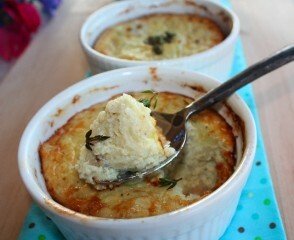 I enjoyed a parsnip flan at a holiday potluck last month, and loved it. I can’t wait to try this! What a beautifully presented flan. I’ve looked at several of your excellent photographs. Lovely, just lovely. this sounds and looks amazing!! 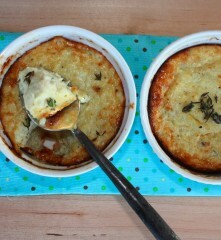 I’ve tried roquefort cauliflower gratin but this looks and sounds even better!!! What a yummy dish! I like all ingredients of this recipe. Thanks for sharing. This looks very delicious, I’ll use light cream though, thanks! What temperature do you bake this at? Thanks!